This latest cold snap could kill some emerald ash borer populations in northern states like Minnesota. But in warmer states like Indiana, the invasive borer is one resilient bug. “These guys are pretty good at burrowing in underneath the bark of the tree and that tree helps to insulate them from the bulk of the bad weather,” says Megan Abraham, director of the Indiana Department of Natural Resources Division of Entomology and Plant Pathology. As a result, Abraham says it takes a long cold spell with really cold temperatures to kill off an emerald ash borer beetle. According to Purdue University, it would have to get down to about minus 28 degrees. Kerry Bridges is an arborist with Tree Guy Incorporated in Bloomington. He says the emerald ash borer is not only used to Indiana winters, but it’s survived in much colder areas like Canada. “I don’t foresee significant change or restriction of that bug’s reproduction and spread,” Bridges says. What’s more, emerald ash borer and some other insects have a unique way of keeping warm. Purdue entomologist Cliff Sadof says the reason your nose starts to run when it’s cold out is because your body is trying to keep it from freezing. Mixing mucus with water lowers the freezing point. Sadof says insects like the emerald ash borer do something similar. “But they are changing the composition of the fluids inside their body, so they act like antifreezes,” he says. How The Emerald Ash Borer Will Survive Indiana’s Cold Snap, Indiana Public Media News from WFIU Public Radio and WTIU Public Television, Indiana University, written by Rebecca. Article courtesy of the Landscape Report. Jennifer Koch, and other researchers with the U.S. Forest Service, has spent the last several years studying what are known as lingering ash – trees that have fared much better against the emerald ash borer. 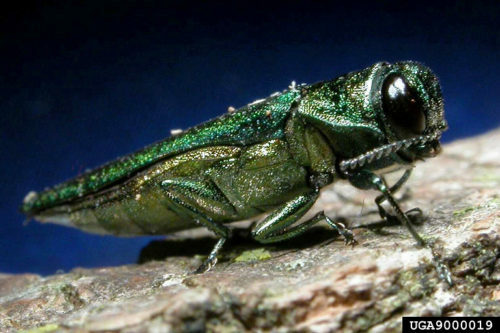 The invasive beetle, which came to North America from Asia about 20 years ago, has killed millions of ash trees around the Midwest. 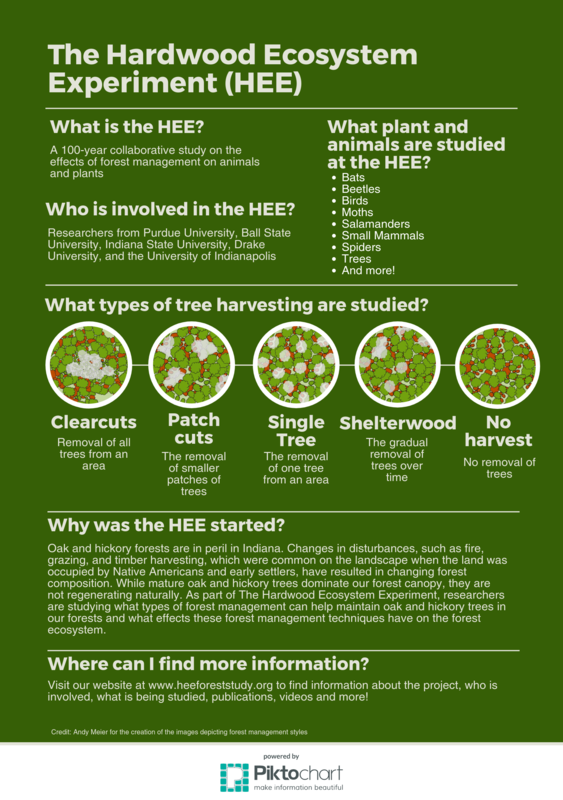 But for reasons that researchers are learning more about, some trees have survived. Those are extremely valuable characteristic for modern ash trees, so Koch is making sure they get passed on through cloning. Not genetic modification, but rather clonal duplicates of lingering ash literally cut from part of the parent tree. Maybe most importantly, Koch says the cloned trees appear to be even more resistant to the ash borer. With their cloned trees healthy and growing, researchers are waiting on the next generation of seeds to see if they’re even more resistant than their cloned parents. Koch says they plan to add more lingering ash seedlings into their on-site orchard this year. Ash trees planted from seed typically take seven to 10 years to begin giving off seeds of their own, so it could be another decade before Koch knows just how successful their ash tree breeding program can be. All past Webinars are now available on the EABU YouTube Channel. 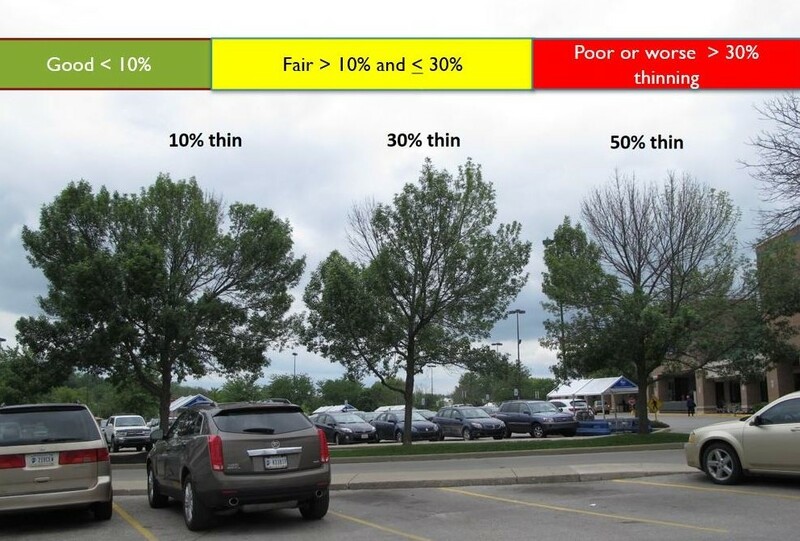 Question: What options do we have to treat our ash trees against the Emerald Ash Borer? Imidacloprid, the active ingredient works by killing adults when they feed in the summer before they lay eggs. It slowly kills the two youngest stages of grubs that feed beneath the bark. The later and larger two stages are not killed. Material applied in the fall does not start killing beetles til spring. It takes twice the dose in the fall to get the same effect as a spring application. 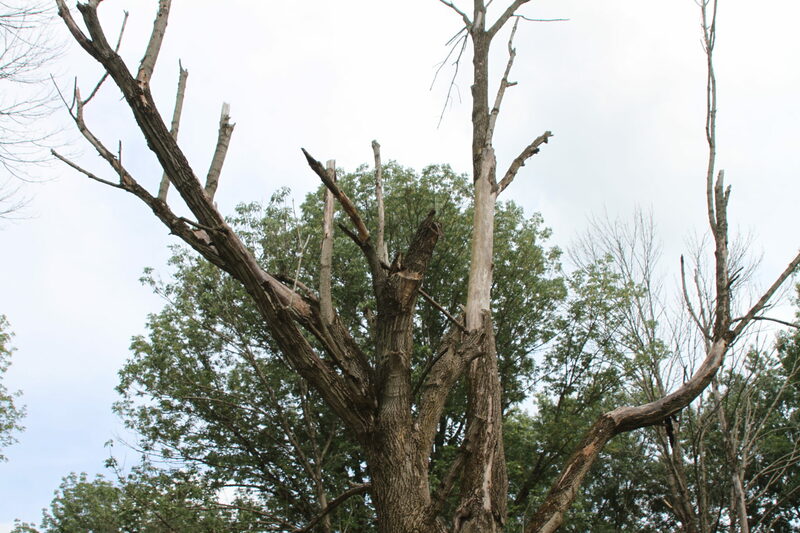 Trees with a trunk diameter of >20 inches at 4.5 ft above the ground can’t be controlled with imidacloprid. So if your trees are starting to die I would suggest you skip the fall application of imidacloprid and switch to a professional injection of emamectin benzoate. 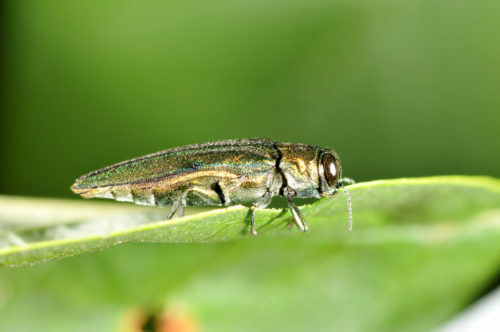 See Protecting Ash Trees with Insecticides, Purdue Extension Emerald Ash Borer, for more information. In the late 1860s, French scientist Étienne Trouvelot brought over a seemingly harmless insect from Europe called the gypsy moth to conduct breeding experiments with American moths. 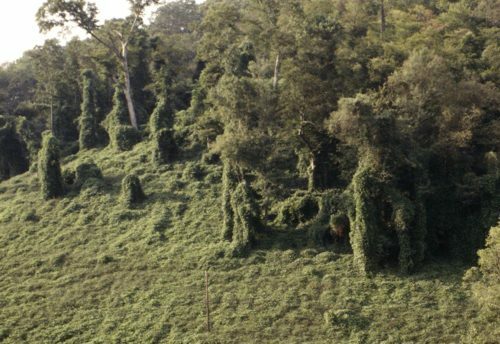 When they escaped his backyard and entered into an ecosystem without their native predators, their population exploded. 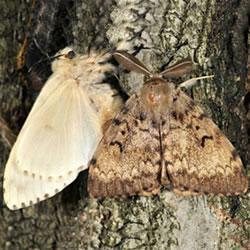 150 years later, these moths are still a destructive forest pest in Indiana and other states. Every year an effort is made to attempt to curb their population. This year, the Indiana Department of Natural Resources will continue the fight to save our forests from these invasive insects. Phase one consists of a crop dusting of bacterial chemical spray over the gypsy moth catepillars’ food sources. 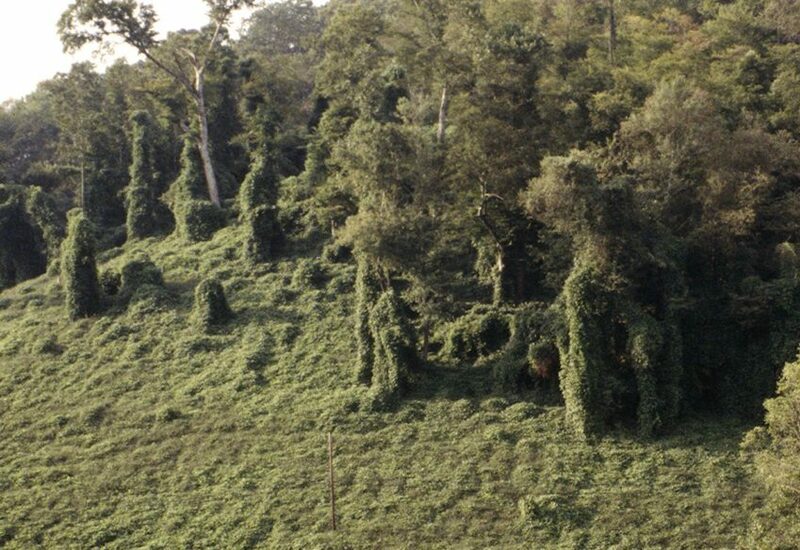 This spray is harmless to humans and native wildlife, but is lethal to the caterpillars. Later in the summer, a pheromone will be dispersed over the moths, disrupting the mating process and causing fatal exhaustion. 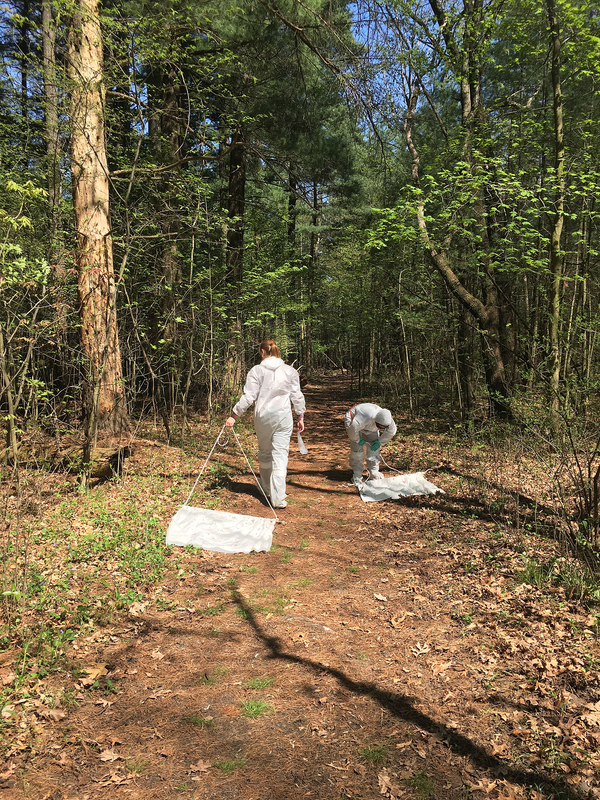 This huge undertaking isn’t estimated to stop the gypsy moth – in fact, state entomologists don’t see an end in sight. We can only continue to manage this forest pest and aim for reducing populations to a level where local predators can manage them on their own. Indiana citizens can help combat this pest by understanding the gypsy moth problem and learning about its management. For more information and when the aerial treatments will be conducted in your county visit the Indiana Department of Natural Resources, 2017 Indiana Gypsy Moth Treatment Program. For Tippecanoe view Purdue News. 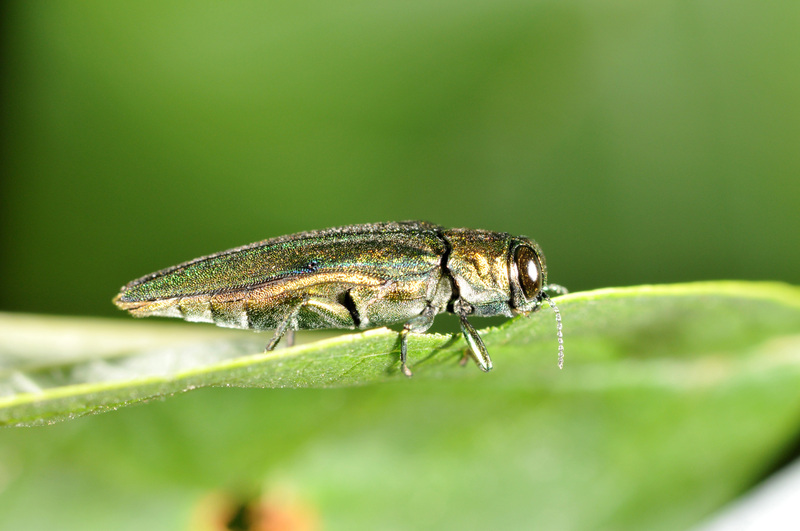 This comprehensive written abstract titled Tools for Staging and Managing Emerald Ash Borer in the Urban Forest shares research gathered in an eight-year period with a variety of management strategies. in urban forests. 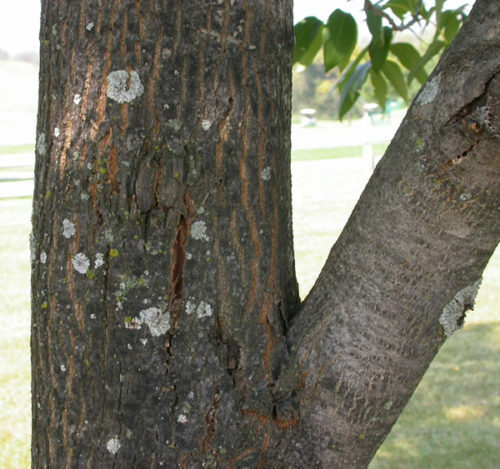 Although ash trees of any size can be protected from this pest, cities often do not implement programs because they fail to recognize and act o incipient populations of EAB. 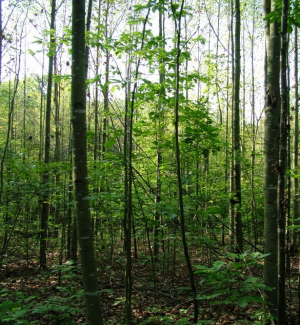 In this study, researchers develop a model for predicting ash mortality over an eight-year period, and validated with data from the removal of >14,000 ash trees killed by EAB in Fort Wayne, Indiana, U.S. researchers then developed a sampling scheme to help foresters map their ash trees along the expected progression of ash decline. This model was then used to modify a web-based EAB cost calculator that compares discounted annual and cumulative costs of implementing a variety of management strategies. 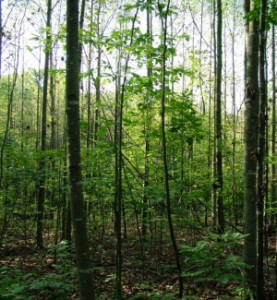 It was determined that strategies that most heavily relied on saving ash trees were less expensive and produced a larger forest than those strategies that mostly removed and replaced ash trees. Ratios of total discounted costs to discounted cumulative benefits of strategies that saved most ash trees were over two-thirds lower than strategies of proactive tree removal and replacement. 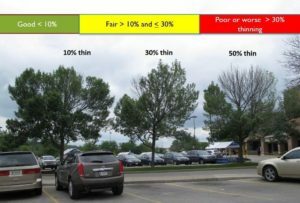 Delaying implementation of an ash management program until damage would be visible and more obvious to the community (Year 5 of the model) decreased the cost–benefit ratio by <5%. Thus, delays that rely on the abundance of locally damaged trees to bolster community support do not necessarily diminish the utility of implementing a control strategy.